There are loads of different sorts of firm in the UK. Sometimes we generalise by just talking about big and small firms. But it’s much more complicated than that. Two firms can be classified as large but yet be nothing alike. The worlds largest organisations usually go to this sort of film when they need help with their legal matters. Although international firms pay very well there is a massive work load and late working hours to go with it. It may not be for everyone. 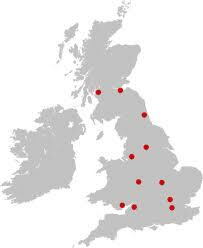 National firms will usually have offices in several cities / towns throughout the UK. Although sometimes they may just have a single large office but still have a strong national presence. Each location will usually meet the needs of the local area they’re in. So the London / large city office will probably specialise in commercial law, but the other offices could specialise in loads of other legal areas. National firms have the experience and size to take on any number of clients; they could work with the public sector or large international business. Yet they may also take work on a local level from individuals in their local community. The number of solicitors isn’t really dependent on whether a firm is niche or not. Of course if it has hundreds then it’s probably a national / international firm. A niche firm would really suit people who are 100% sure they want to go into a certain area of law and would be OK with only working in one or two legal areas. Regional firms may have several offices within a region. They could have started as a small high street firm and expanded by opening more offices. They may not be based in a city but they still should be well known in their local area. Due to their increased size, and solicitor count, and specialisation these firms may undertake more complex work than high street firms. However they may still assist with the day to day legal matters of the general public. They may even undertake work which has an international element to it. High street firms are usually located within a single office in a town centre or village. The number of employees the firm has can vary. There could be just a single solicitor or or several supported by other legal staff. High street firms will typically deal with local individuals and small business. They may draft contracts for landlords and local shops, undertake conveyancing work, will writing or even criminal & personal injury work. They meet the typical day to day legal requirements of the people and business in their local community. High street firms can potentially practice in several areas of law. Remember within the types of firm listed there are yet more differences. You can have a (relatively speaking) big high street firm, and a small high street firm. You can also have a large international firm and a small international firm. So there really are a huge amount of firms which suit you out there – picking the right one to get your work / live balance right is essential. If you’re wondering how many firms there are of each type, you can use this table as a rough guide.